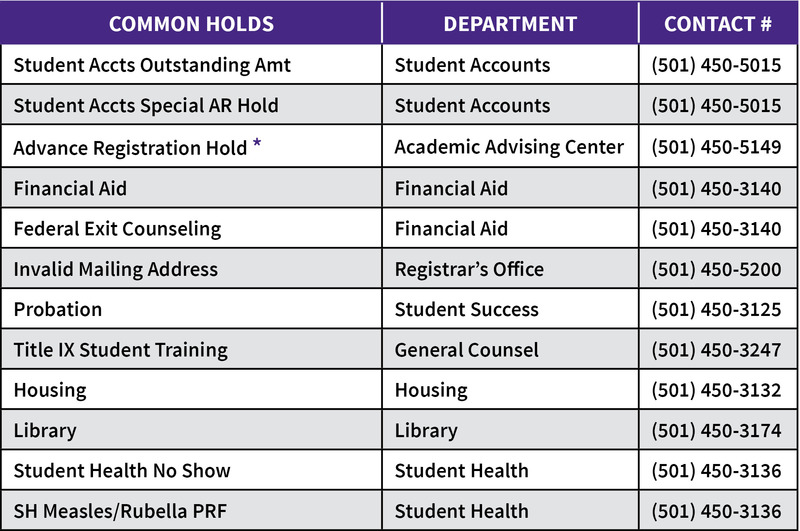 UCA uses a system of holds to make sure students complete necessary tasks. Having a hold on your account can create difficulty for you when needing transcripts or registering for classes. Be sure to check myUCA for these holds and take care of them as soon as possible. * Please be aware that all students have an Advance Registration Hold placed on their account each semester. 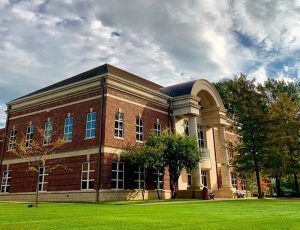 This hold will be lifted once students meet with their assigned academic advisor for their mandatory advising appointment. If you have a hold not listed above, please contact your assigned academic advisor. Graduate students will need to contact their assigned departmental advisor with questions about holds.